In such circumstances, resolute security action, the use of existing antiterrorist legislation and the careful application of intelligence could reduce the IRA to operating as it did in the fifties and sixties. Combining such security measures with a political determination not to allow Ulster’s constitutional status to be altered by force of arms would rob the republicans of hope. It can be done. But does any Government have the will? Gove gets to this position through a statement of root and branch opposition to the Good Friday Agreement motivated by a classic Tory rejection of any role for the state in seeking to enhance social justice, and of affirmation that the rights of the “majority community” to rule must not be limited or mitigated. 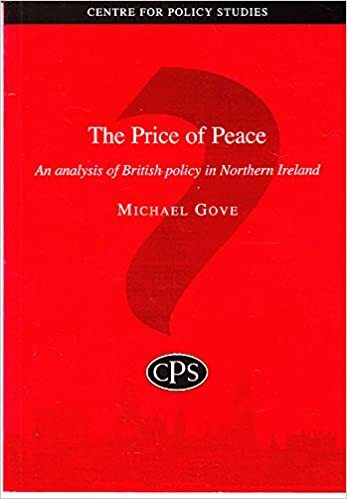 Gove objects to every measure of the Good Friday Agreement, including promotion of Catholic recruitment into the RUC, support for the Irish language, state support for businesses, prisoner releases and changes to the oath of allegiance to the United Kingdom. It [The Good Friday Agreement] enshrines a vision of human rights which privileges contending minorities at the expense of the democratic majority. It supplants the notion of independent citizens with one of competing client groups. It offers social and economic rights: “positive rights” which legitimise a growing role for bureaucratic agencies in the re-distribution of resources, the running of companies, the regulation of civic life and the exercise of personal choice. It turns the police force into a political plaything whose legitimacy depends on familiarity with fashionable social theories and precise ethnic composition and not effectiveness in maintaining order. It uproots justice from its traditions and makes it politically contentious. It demeans traditional expressions of British national identity. And it privileges those who wish to refashion or deconstruct that identity. This view of Northern Ireland is shared by Gove’s colleagues in the European Reform Group. 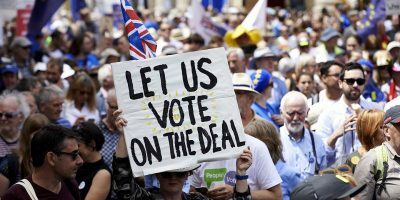 They may have accepted it was politically not possible to roll back the Good Friday Agreement in the last couple of decades, but Brexit and a hard border fundamentally undermines the Anglo-Irish Agreement and changes their whole calculation. It is not possible to understand the current state of play in Brexit negotiations, without understanding that those effectively driving the Tory Party position do not view a hard border with Ireland as undesirable. They view it as a vital achievement en route to rolling back power sharing and all the affirmative measures which brought peace to Northern Ireland, in an affirmation of the glory and power of unionism. It is no accident that Northern Ireland is the rock on which Brexit has foundered. It is considered Tory strategy about which, by that psychological mechanism I will never understand, the mainstream media has chosen not to tell you.